ZSL's Prince Philip Zoological Library & Archives is one of the UK’s largest repositories of animal images. There are approximately 6000 original artworks in watercolour, oil and other media. The majority are watercolours which were produced in the 19th century but the collection dates from the early 17th century to the end of the 20th century. ZSL Library also holds about 1000 separate prints and a number of sculptures of the Zoo’s famous animals. From the Library’s rich resources a wide choice of images from across the whole spectrum of the animal kingdom may be found, but the predominant subjects in the prints and drawings collection are exotic birds, mammals and fishes. In the 19th century the best professional zoological artists were engaged by ZSL to illustrate its scientific work and their paintings form a major part of the Library’s collection. Equally interesting are the donations from people who worked overseas, especially in India. These men had a passion for natural history and made hundreds of paintings of the fauna. Names of some of the people whose paintings and collections are represented include: Francis Day, Brian Houghton Hodgson, Henry Jones, J.G. Keulemans, Roeland Savery, Joseph Smit and Joseph Wolf. There are many prints of birds and mammals, the majority being 19th century hand-coloured lithographs, and those showing the human and animal connection are a reminder of the importance of animals in our lives. Whether it is a print of the Victorians enjoying an outing to the Zoo, a cartoonist’s sketch of British politicians and the Zoo’s pandas, or a watercolour of a new animal in the Gardens, there is so much to offer picture researchers in ZSL Library. 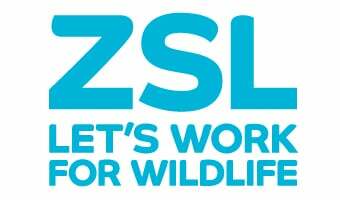 In 2005 ZSL received funding, which continued until March 2008, from the Michael Marks Charitable Trust to produce an online catalogue of the prints, drawings, paintings and sculptures. You can now use the ZSL online library catalogue to view catalogue records of art works but please note that some of the catalogue records are for `collections' rather than each individual art work ZSL Library Catalogue To search specifically for art works please use the `Search artworks' button on the sidebar once in the catalogue. Many of the catalogue records for artworks include a thumbnail image to enhance the catalogue as a searching aid, enabling searchers to `preview' paintings. If you have any enquiries about the Art Catalogue or would like to see any of the artwork please contact the Librarian, Ann Sylph, at library@zsl.org to make an appointment, telephone 020 7449 6293 or write to The Library, The Zoological Society of London, Regent’s Park, London NW1 4RY. ZSL's oil paintings are listed with illustrations in the BBC/Public Catalogue Foundation's `Your Paintings' website. The ZSL Library contains an extensive collection of literature concerning animals and their conservation. Many of these publications contain amazing illustrations. Browse a selection of images of extinct species.